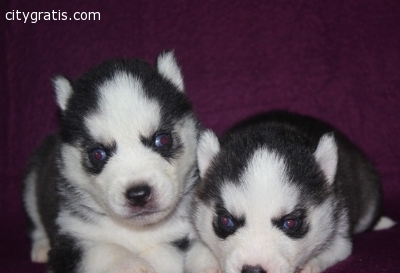 Adorable husky pup for re-homing i have a lovable husky pups , cute, cuddle a lot, hypoallergenic breed, good for people with allergies. good with other dogs . Baby-doll face. comes with a health record, starter kit, a blanket, vaccination record, and puppy instruction.contact for more details .